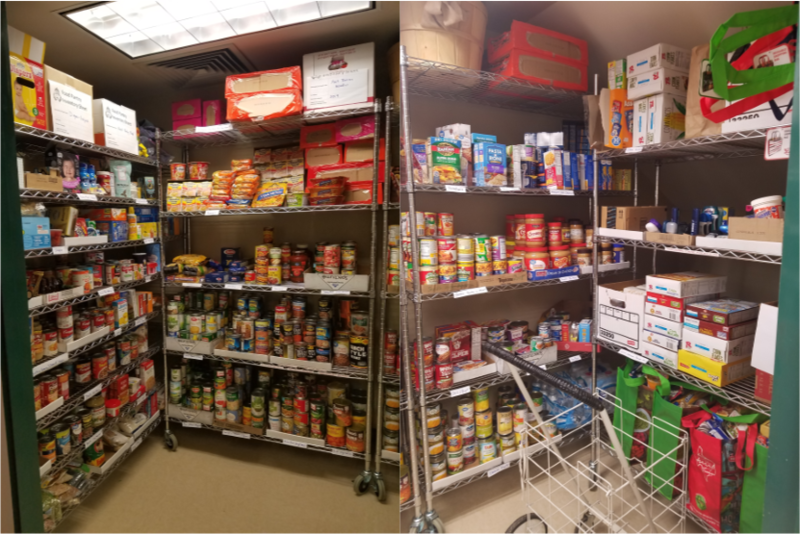 The Food Pantry welcomes all donations, as it is a self-supporting program. 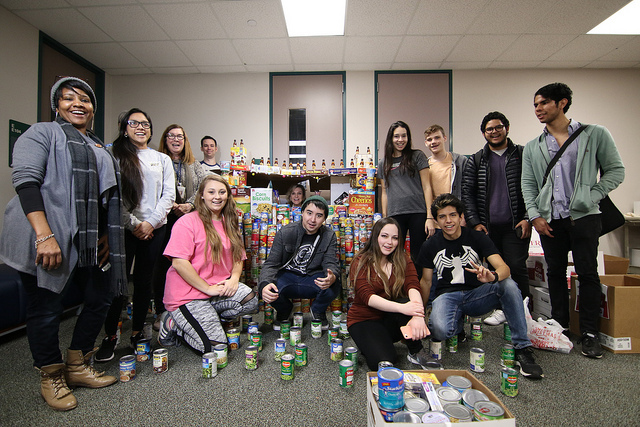 If you are interested in donating, please e-mail the Food Pantry and someone will be in contact with you shortly: MC-FoodPantry@lonestar.edu. 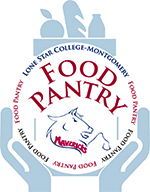 The Lone Star College-Montgomery offers any student, staff or faculty member emergency food and supplies. Tuesdays, Wednesdays, Thursdays and Fridays from noon - 4 p.m. located inside the lobby of the Administration Building (Bldg. E), to the left of the Information Desk. 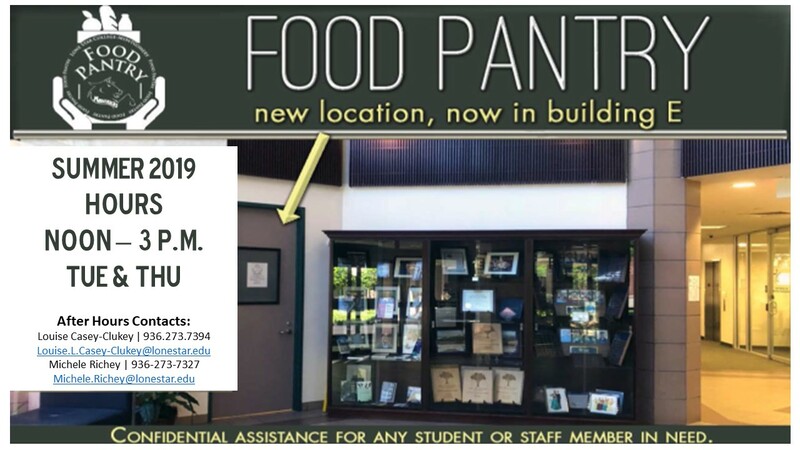 If you are in need of assistance when the Food Pantry is not open, please e-mail the Food Pantry and someone will be in contact with your shortly: MCFoodPantry@lonestar.edu. If you wish to volunteer, please fill out this online form and someone will be in contact with you shortly to schedule a short 15 minute training session required to volunteer. There are many community organizations that provide support to those with financial struggles. Click here for a list of resources, including other sources of food assistance, credit/debt counseling, legal aid, housing assistance, and low-cost health assistance. For resources related to mental health or crisis support, visit the LSC-M Counseling Services website. 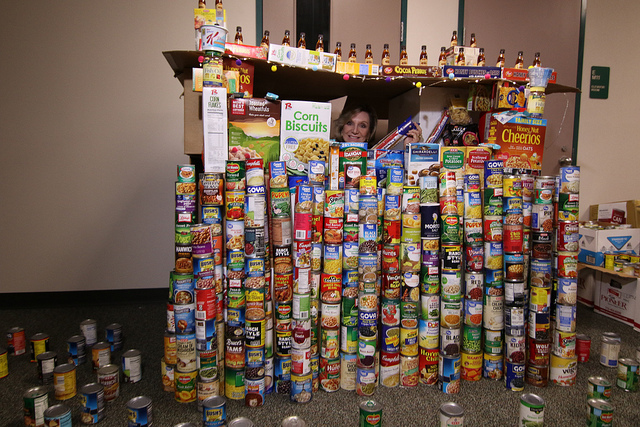 A special thanks to those who have helped make the Food Pantry possible. Louise Casey-Clukey, Sarah Palacios-Wilhelm, Michele Richey, Erik Oslund, Karen Buckman, Erin Anderholm, Laurie Boyd, Linda Corbin, Linda Crowl, Clemestine Houston, Glen Killian, Martina Kusi-Mensah, Angela Martin, Magali Reyes, Liliana Reynolds, Mary Sharon, Haley Stoner, Rachel Trackey, Beverley Turner, Carmelle White, and Tabitha Yargo.